MUST SEE: Posting His Alluring Girlfriend's Photo Online is The Worst Thing That This Navy Man Ever Did! Men are usually underrated when it comes to handling a relationship. They are generally passive and not so showy about their feelings. But when men become more vocal, you will truly melt. The intention of this guy who just recently graduated from the Navy Seals is very good. He wants to be proud of the girl that stayed with him and had his back through it all. 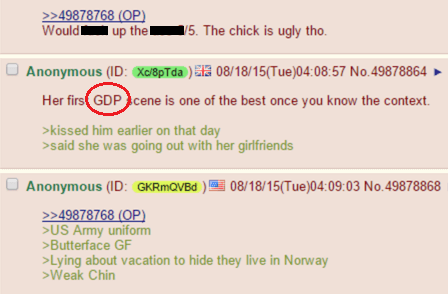 Because of overwhelming emotions, he posted his girl's photo on 4chan. It is an online bulletin board where people can publish images anonymously. The image was captioned: "Rate me and my gf /pol/, just finished navy seals training in this pic. Currently on vacation in (S)candanavia. (I'm) the most alpha on 4chan." People responded in a most surprising way. But since sarcasm and bullying is quite an environment in the said site, It is expected that some users will take advantage.